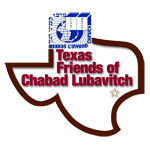 Kosher Houston - Mehadrin Kashrus of Texas - Chabad Lubavitch Center - Texas Regional Hdqrtrs. Status:Meat Glatt Kosher (Chassidishe Shechita available upon request), Bishul Yisroel & Pas Yisrael. Meat Glatt Kosher (Chassidishe Shechita available upon request), Bishul Yisroel & Pas Yisrael. Lobby Cafe: Dairy Cholov Yisroel, Pas Yisroel and Bishul Yisroel. Status: Cholov Yisroel, Pas Yisroel and Bishul Yisroel. Only Challah is Pareve. Houston's first kosher dairy food truck, serving Tex-Mex favorites for breakfast and lunch. Follow on Facebook for weekly schedule or to book the truck. Cholov Yisroel, Pas Yisroel and Bishul Yisroel. This establishment is not certified by MKT but their pareve and meat items are accepted in MKT establishments. Kosher dry goods, refrigerator and freezer sections. Only manufacturers prepackaged Glatt meats accepted. Kosher bakery, deli, dry goods, refrigerator and freezer sections. Only bakery products marked Pareve and kosher deli accepted. Kosher dairy bakery is not Chalav Yisrael and is not accepted. Take out kosher deli has prepared Sushi, Chinese, Deli Sandwiches, Hamburgers, Fried Chicken and more. 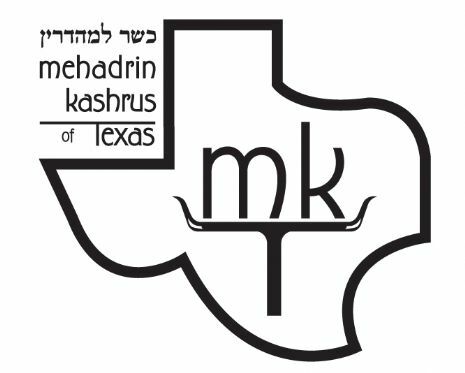 The Mehadrin Kashrus of Texas, was created for the local community and out-of-town visitors seeking adherence to a higher standard in local kosher establishments. As part of our Kosher awareness campaigns, you may also contact us to have someone kasher your home and guide you through making your home kosher, purchasing kosher food and the entire kashrut and kashering process. Contact us for more details. To learn more about Kashrus, visit our online study library.